To open a ticket about an EHR issue or an IT hardware issue, click the link and describe the issue you are having. You can also send an email to helpdesk﻿@qetsu.org. Find out more about the Quillen ETSU Physicians organization by visiting our website. We are located at the administrative offices (Downtown Center) for Quillen ETSU Physicians, located at 222 E. Main Street in Johnson City, TN. 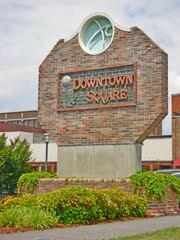 When visiting our offices, two-hour parking is located behind our office in the lot off of W. State of Franklin Rd for Downtown Square. Unlimited parking is available across the street from Downtown Square at 500 Spring Street (the old Johnson City Farmers' Market location). When using a GPS system for guidance, use 500 Spring Street, Johnson City, TN 37604 as the address for locating our office and the best parking location. Printable information for patients explaining Basic Health IT terms, the Government and Health IT, and Meaningful Use of Health IT from HealthIT.gov.